Elvis Costello, B.B. 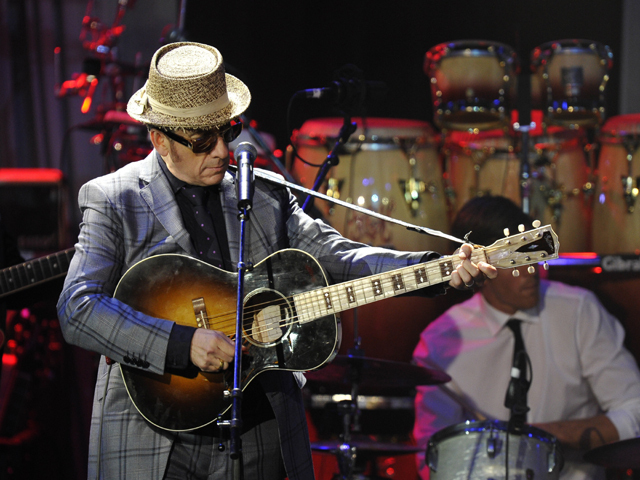 King and Ray Davies are among the nominees for the 2013 Songwriters Hall of Fame. They're joined by a slew of top acts, including Jimmy Buffett, Vince Gill, and Fleetwood Mac's Stevie Nicks, Lindsey Buckingham, and Christine McVie. Also nominated are Mick Jones and Lou Gramm of Foreigner, Annie Lennox and Dave Stewart, Jeff Lynne, Aeromsith's Steven Tyler and Joe Perry, as well as Steve Winwood and Bobby Womack. Songwriters Hall gave The Associated Press a list of nominees in advance of the official announcement, set for Oct. 16. Voting ends Dec. 17, and the gala takes place June 13 in New York City. Last year's inductees included Gordon Lightfoot, Bob Seger and Tom Jones.